For the past 21 years, a water pump that ChildFund set up in the Nsinda village in Uganda has provided safe water to hundreds of families. Today, more than 700 families use this pump daily to obtain water for cleaning, cooking and drinking. “We come here to fetch water. 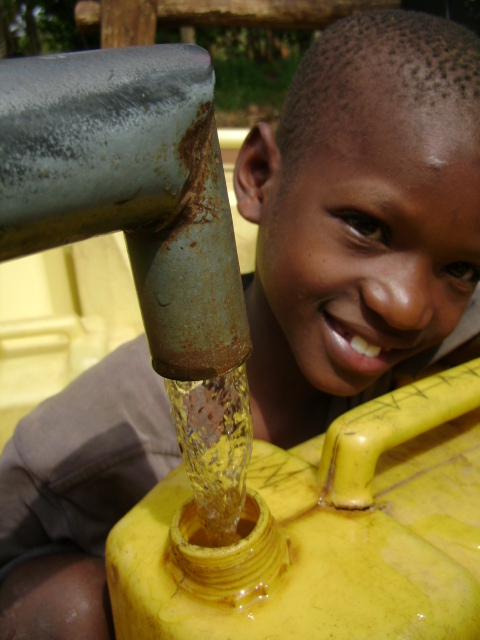 After school, we fetch water’’ says Ismail, a child who uses the water pump often. 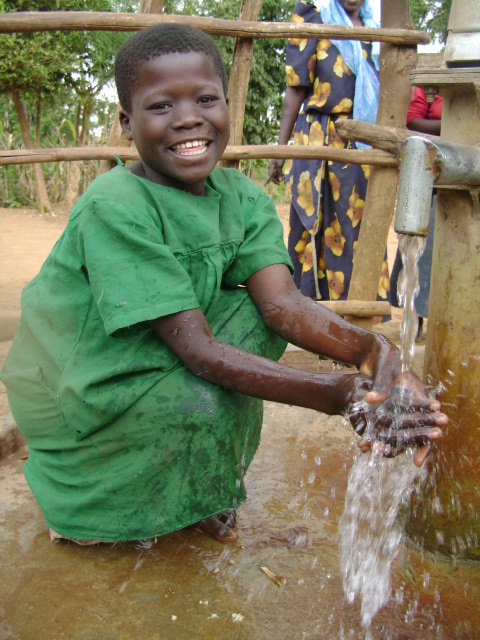 The pump was a sponsor’s gift in 1988 to a sponsored child and to the community. It was the first ever protected water source in that village. 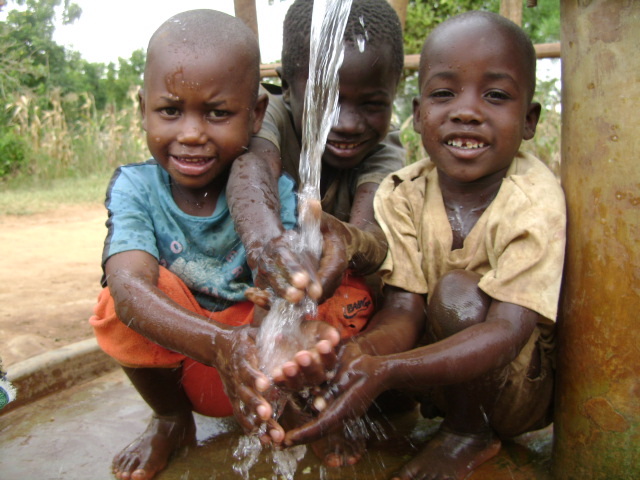 For more information about Uganda, click here. Did You Know? : Uganda is a birdwatcher’s paradise — there are more than 1,000 species of birds in this African nation. What’s next: Denzel from Dominica prepares to head to the United Nations. This entry was posted in 31 in 31 and tagged 31 in 31, Africa, Uganda, water. Bookmark the permalink.